Amazon is once again taking initiative in the healthcare industry. In their latest efforts to alleviate healthcare costs, the online retail giant will now be selling Prime memberships at a discount to Medicaid recipients. Definitely a big deal for low-income families! Amazon's Prime memberships originally valued at $12.99 monthly will be given to Medicaid recipients at $5.99 per month. Aside from that, it will also provide free fast shipping, access to music, movies, and other benefits. "We hope to make Prime even more accessible," Cem Sibay, Amazon Prime vice president said. "With more than 100 million products to choose from, low prices, time savings and fast and convenient delivery options, the combination of shipping, shopping and entertainment provide tremendous value to customers." And it surely is accessible, especially to those who have limited access to go local grocery and pharmaceutical stores. Add that to Amazon's continuous plans of improving the access to healthcare such as selling pharmaceutical prescriptions online and teaming up with medical giants. Aside from being a big time saver, it aims to help save money and effort. Forbes interviewed some low income customers who could benefit from the changes. Wendi, a single mom of four, has a child with genetic disorder. She said, "He already has a lot to deal with and dislikes stores, so even eliminating a trip to the local store makes such a difference for him and is easier on me. I love it." "It's become part of my life now. I don't have to try to get to the store anymore if I need something," Mark, a retired disable man, said. "Anything I need, I can just get delivered to my doorstep so I can do more important things, like spend time with my nine grandchildren," Robert, a military veteran and cancer survivor, said. 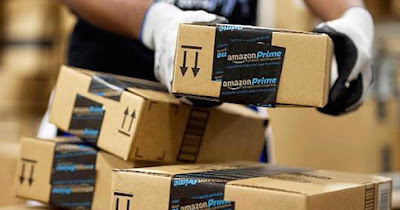 Last year, Amazon also began a program to deliver groceries to food-stamp recipients.